My experience with Sub Battle Simulator hasn't been terribly favourable. I got this game when I had an unaccelerated IIGS, and it simply crawled to the point where it detracted so much I couldn't be bothered to play it. However, the game plays much better when it's played fast, and therefore the game should be given a look if you've got a fast IIGS. 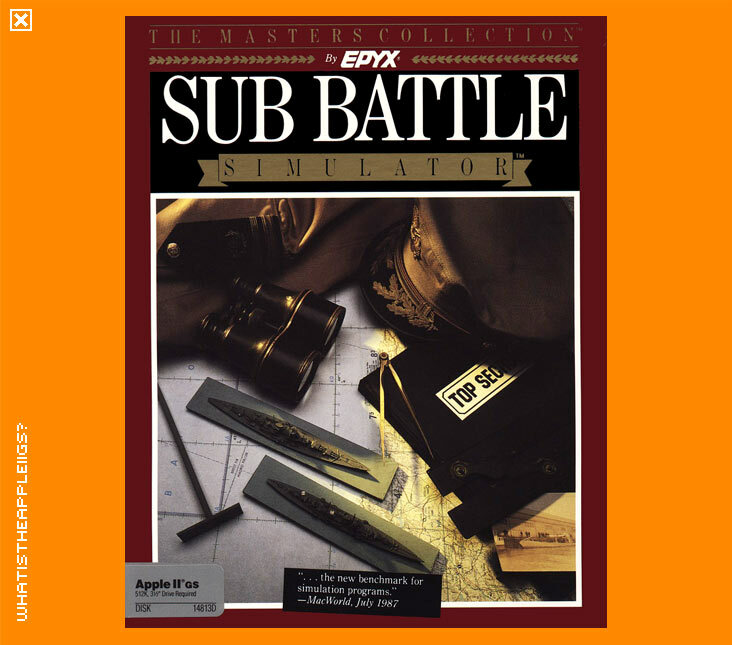 Sub Battle Sim has more depth (stop with these puns!) 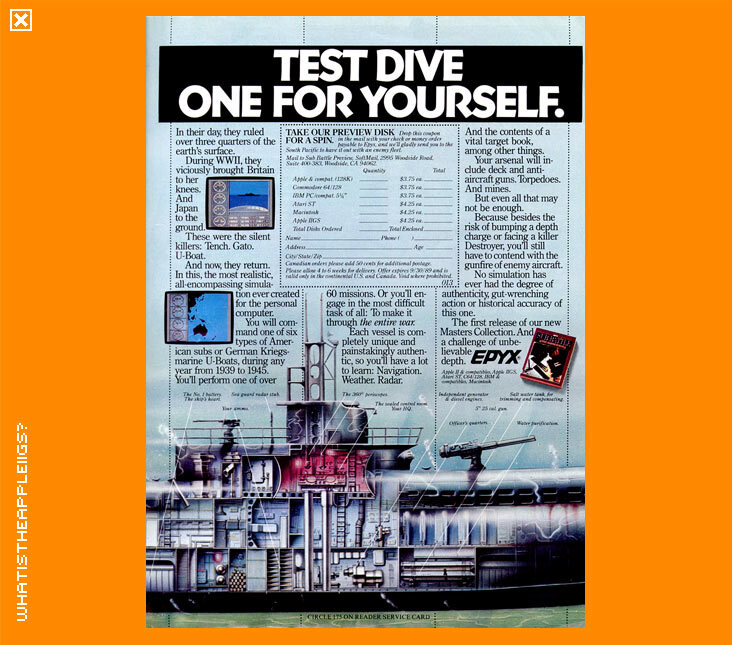 than its Epyx counterpart Destroyer, with a lot of factual technical information being provided during the game. And being called a simulator it plays more like a sim than Destroyer did. The graphics are reasonably well drawn but aren't brilliant and sound is sparse. The game is played with the mouse. Included on the disk image is subfont.9 which, if you plan to play the game from System 6 (or any other bootable disk), must be copied to the System/Fonts directory of that bootdisk for the game to play.